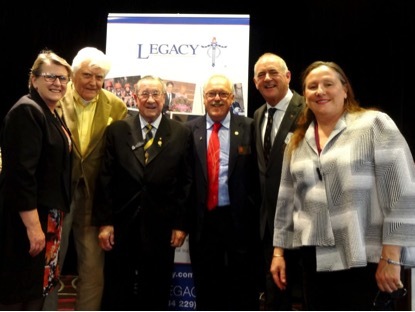 On Saturday 27th June, members of local Rotary Clubs attended a luncheon at Palm Beach RSL hosted by Northern Beaches Division of Sydney Legacy. The luncheon was in recognition of the support of the local Rotary Clubs. PP Veronica Hopley RC Manly, P Peter Peine RC Pittwater, PDG John Lang RC Brookvale, PP Ken Hopley RC Manly, Legatee Tim Becker and Dr Vicki McGahey, PP RC Dee Why/Warringah.